Forgive the portmanteau, but the smell elements of cannabis plants and their products are too good to not play around with. The truth is, terpenes are all around us. Not just in cannabis plants, but also in the natural world. Coniferous plants, citrus trees, mangos – even butterflies all generate them. Many different varieties exist in cannabis plants, and a growing wave of CBD products are featuring terpene rich formulas. Each strain has its own specific flavor profile as well as attributes. Unsurprisingly, terpene characteristics share a lot of cross pollination with their respective aromatherapy profiles. 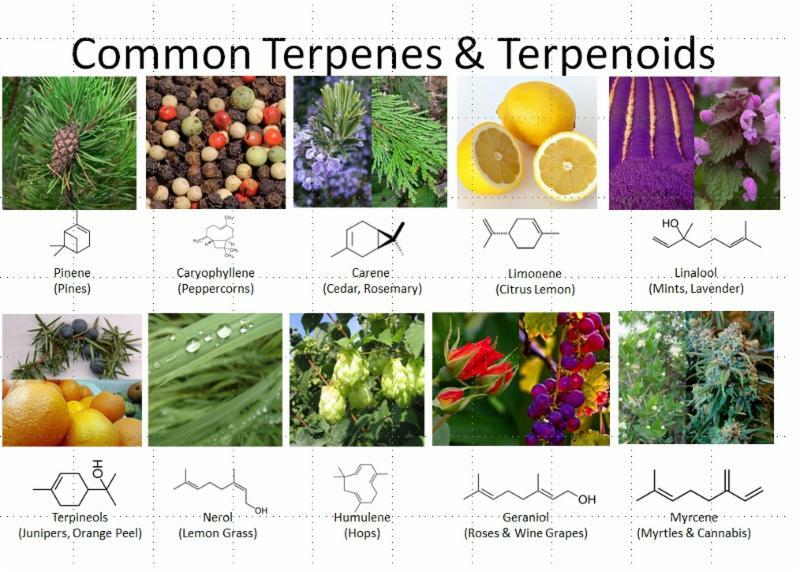 Terpenes are a diverse family of molecules. There are ten different molecular classifications: hemiterpenes, monoterpenes (most common in cannabis plants), sesquiterpenes, diterpenes, sesterterpenes, treiterpenes, sesquarterpenes, tertraterpenes, polyterpenes, and norisprenoids. Not just good smells, some are actually components and precursors to important compounds like Vitamin E, Vitamin K and even steroids. Over 5,000 years ago in ancient China, terpenes were used in medicine. Currently, researchers are delving into their healthful properties. 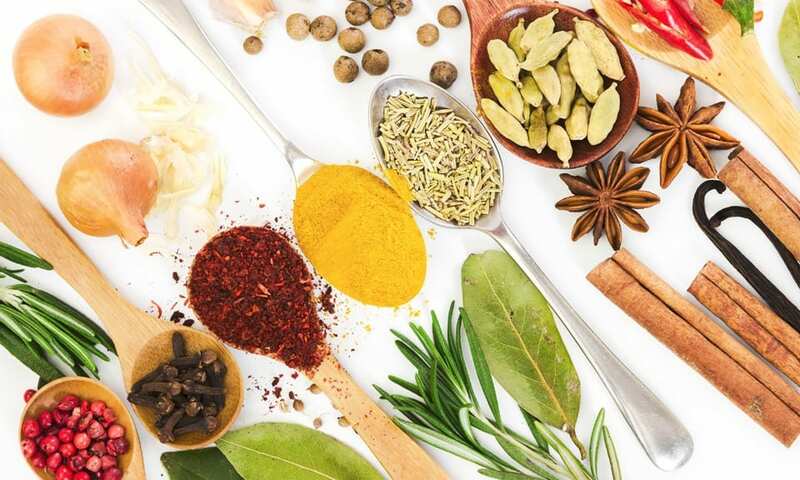 Not just cannabis plants, but many common herbs and spices are rich with terpenes. Terpenes have their own therapeutic contributions, in addition to CBD as an active compound. The multiplicitous effect of the terpenes and cannabinoids is known as “The Entourage Effect.” Each strain has their own terpene profile. For this reason, each strain smells differently in the flower or on the stalk. 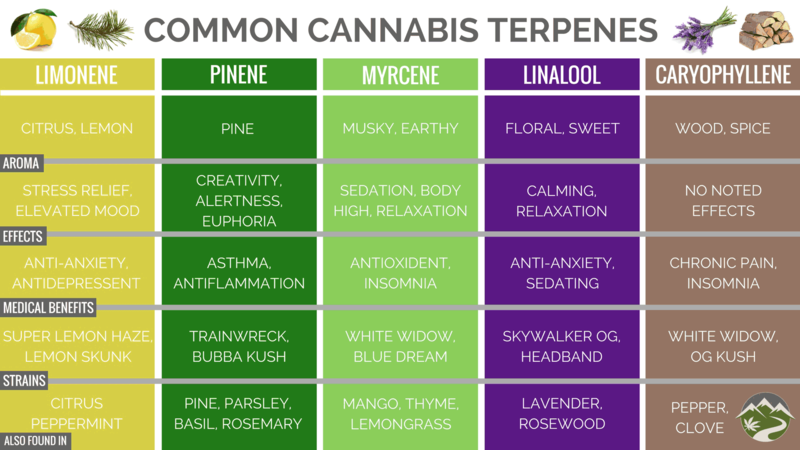 The most common terpenes in the cannabis plant are: limonene, humulene, pinene, mycrene, linalool, caryophyllene, . 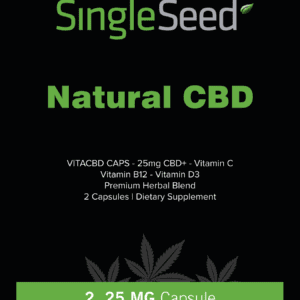 These are compliments to CBD by also being anti-inflammatories, bronchodilators, anxiolytics and analgesics. Look around, likely even if there is not a single cannabis product in the home, there are some terpene touters. Lavender, common for aromatherapy, is rich in linalool. Citrus plants have not only limonene, but also pinene, mycrene and 9 others. Rich piney aromas of evergreen trees and their sap is pinene. The peppery notes of black pepper or cloves comes from caryophyllene. Mangos are dripping with mycrene, whose synergistic properties enhance THC, or anything else that needs to cross the blood brain barrier. The sweet floral aroma from lilac is terpineol, which is being studied for its tumor fighting properties. Conveniently, all these varieties also exist in cannabis plants. Nearly everywhere there is that “Aaah” good smell, its probably some kind of terpene coming into play.